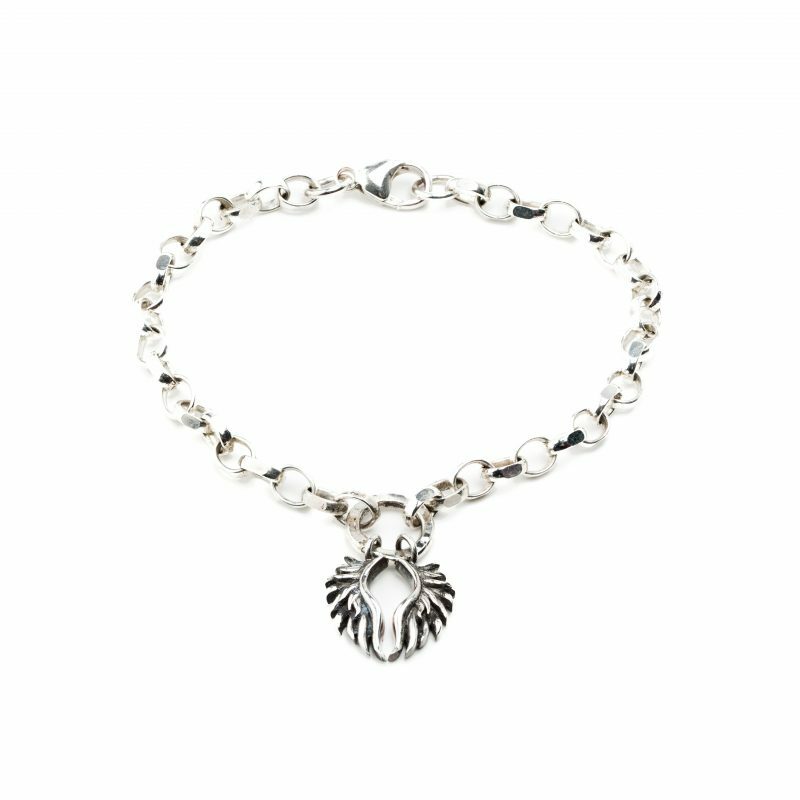 Super cute for any occasion and a must have for your collection, introducing our brand new Unbroken Bracelet. She’s gorgeous and spirited enjoying freedom that only true happiness can bring. Her Phoenix wings shine bright revealing her inner beauty, the essence of her soul. Never tamed and forever unbroken. 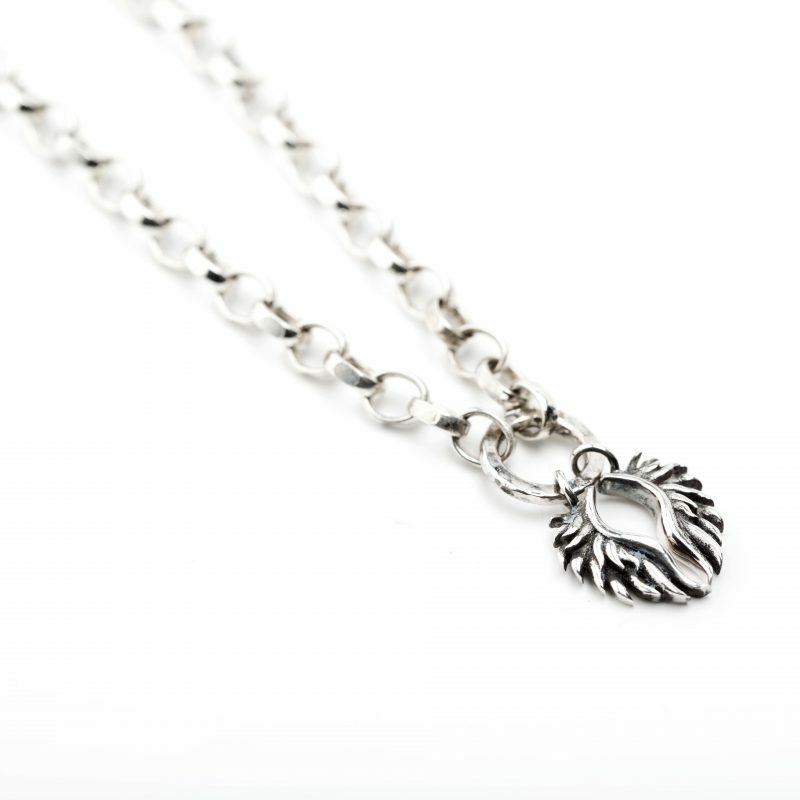 Hand crafted in sterling silver with original Phoenix wings and diamond cut sterling silver chain. 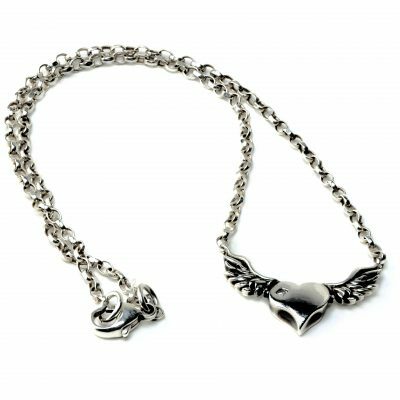 Phoenix wings are handcrafted in London using both modern and traditional jewellery making techniques and feature a combination of black oxidized and polished finish. There is a glow to Justine’s creations that exists beyond the simple sheen of the metal. She gives each piece her attention as if it were one of a kind. The love and craftsmanship she put in result in something intangible, beautiful, and which brings out the beauty of whomever is lucky enough to wear it. Also, this bracelet is super-totally awesome.